As soccer continues to gain traction in the US, Reality Check Systems has developed a hub-in-a-box solution that compiles the latest from almost every international soccer league in the cloud. Dubbed LaunchPad, the system is fed with real time data and statistics from provider Opta and predictive data from Analy7ics. 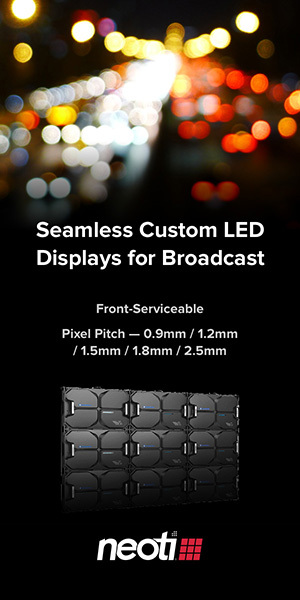 These data feeds are a key component of the system, creating a constantly updated stream that can be presented on a touchscreen, a full screen graphic or on a monitor wall. The system is a complete production hub, helping networks create pre/post programming at a fraction of the effort with high quality statistics and analysis. The system does all the heavy lifting, bringing in the data and packaging it with a slick interface that includes some new features for a touchscreen. A pet peeve of many viewers is when presenters fumble with technology as they try to find the next item to display on a touchscreen, but through a new bookmarking feature RCS has solved the problem. With bookmarking, talent can easily create a series of points they want to hit on during their time on-air, allowing for a seamless flow, giving more time for analysis and discussion. Real-Time Predictive Analysis: A built-in, probability-driven algorithm developed by Analy7ics AS lets users visualize the probable outcome of any soccer match before kickoff, and deliver updates as the game unfolds; operators can also illustrate how likely each team is to win the league, qualify for Europe or be relegated. Social Media Integration: Search, mine and share player, celebrity, viewer and breaking news Tweets as dynamic graphics in real-time. Headlines: Create custom graphics (i.e. player profiles, team comparisons, newspaper quotes) in LaunchPads web portal, and instantly display them with the push of a button. Enhancements to Tablet Controller: All key LaunchPad functions are now available in the RCS iPad Navigator App. 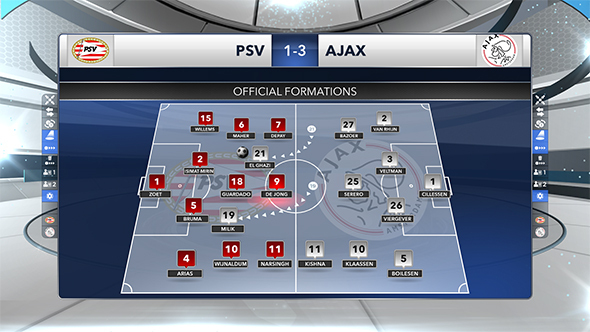 Integration with Vizrt’s Viz Libero 3D sports analysis software: Quickly access desired Viz Libero clips and related metadata in LaunchPads touchscreen menu and control playout. The LaunchPad system is aimed at sports networks, looking to add some extra bang for their coverage. The system gives the power of having the information available on the fly, with the broadest possible level of output. RCS hopes to expand to other sports soon, with F1 currently in the works. Soccer was the most logical launch path for RCS, as many of its customers carry the sport and soccer has such a depth of information and statistics. Long term, the software company expects this technology platform to work its away into regional sports networks and to colleges, allowing a wealth of statistics and information pre-built into one box with no added graphics needed.